The damage to the profession from the unprofessional use of social media…bragging about entering hospitals without permission and posting photos with well known speakers openly critical of vaccination are not acceptable. To clarify further I rang the Mater Hospital in Bundaberg – a private hospital – who confirmed for me that they do not offer birthing or maternity facilities; nor do any other private Bundaberg health facilities. Given the responses by Queensland Health; the crib, linen and towel in the image; and Farmer’s swift deletion of the image from the TLC Chiropractic Facebook page, I think we can gauge what has happened here. But – as those of you who are long past expecting surprises in these posts would expect – this is not the first time Farmer has posted these images. All of the above posts, taken from inside a hospital maternity unit, are signed off by “Dr Josh”. The above examples show at least four occasions in the space of twelve months – and these are only the ones for which there is photographic evidence – where this chiropractor has entered and conducted his business inside a healthcare facility. And not only that, he has used the images and names of infants in his online marketing, which is precisely what Facebook is deemed to be under the National Law. Add to all of the preceding that there is no reputable evidence for a chiropractor to touch any day-old infant. So, again, how many of these Code of Conduct requirements has this chiropractor ticked off? I’m not expecting the Chiropractic Board of Australia to do anything about this. I’m long past expecting them to carry out any meaningful action, anywhere, about anything. But, if you want to lodge a notification you can click here to complain to the Queensland Office of the Health Ombudsman (they handle AHPRA complaints in Queensland). This entry was posted in chiropractic, hospitals, public health and tagged AHPRA, Australian Health Practitioner Regulation Agency, Bundaberg Hospital, CAA, CAA VIC, CBA, Chiropractic Board of Australia, chiropractic4wellness, Chiropractors' Association of Australia, Chiropractors' Association of Australia Victoria, Code of Conduct for Chiropractors, Helen Alevaki, Josh Farmer, Laurie Tassell, TLC Chiropractic. Bookmark the permalink. 0 Responses to Are Australian chiropractors still sneaking into hospitals without permission? It appears that the chiropractor is more interested in selling chiropractic. I’m also unaware of the evidence as to why an infant needs to be seen immediately (although I am aware it doesn’t actually exist), of course I understand why he believes it – under ICPA doctrine all humans are born subluxated. John Minardi (endorsed by the ASRF) is quoted as saying subluxations “shut down” the immune system despite 2 things 1) no evidence and 2) Reductio ad Absurdum – if all humans are subluxated and all subluxations shut down immunity and almost no humans on earth actually see a chiropractor then all humans on earth have no immunity. I’m not sure of the word to express such utter crap. So I will call it crap. I’m sure the children were not harmed so that’s not really an issue, the issue is false, deceptive and misleading information by a health professional. We might call it lying but why ascribe to malice that which can be more easily explained by stupidity? Unfortunately ignorance is no excuse under law so it’s lying. So, they negotiated the use of the title “doctor” having given the promise that there would be regulation by the CAA or CBA. Since there’s obviously no regulation by either association, and they’ve put the shark in charge of the swimming pool, perhaps AHPRA should re-negotiate and they can all get new signs made for their businesses which don’t make a mckery of the title. If it were my country and I had a sympathetic legislature, I’d seek legislative redress to the lack of professionalism of a self-policing body that fails to police its ranks. Regrettably, I do not, I’m in a nation where public office goes to the highest bidder via a corrupt campaign contribution system. But, Australia is not the US and has a chance to have political leaders regain control of your health care quacks and professionals and advance. Josh’s repeated offences are inexcusable and it hurt my eyes to read them! It’s “family’s”, Josh. That’s — family’s” — with an apostrophe – not “families”. Why are alt-meddlers always illiterate? Actually, when using the plural of family in US spelling, it is indeed families. You see, spelling diverged after the the Atlantic colonies outside of Canada had a bit of a spat with the UK. Regrettably, England failed to standardize English until after that spat resulted in a divorce. Hence, the difference in spelling and use/abuse of the language. Iggorant yank 🙂 Fanily’s is the possessive. Families is the plural wherever English is spoke. That said; this American chiropractor is beyond belief in his arrogance. As I mentioned previously, this has gotten to the point where the legislature should install their own policing of Chiropractic ranks, as their policing their own is letting the fox guard the hen house. Self-policing only works when true professionals are policing their ranks. He’s not using it as a plural. Indeed, even if he wanted a possessive plural, he’s still missing an apostrophe, as in “your families’ health”. Yep, if we were all born with subluxations and a shut down immune system then we should all be dead! Vertebral Subluxation Complex should be renamed Vertebral Subluxation Industry! Agree with ds, Utter crap! Some readers may know that a new group has been formed within the chiropractic profession to speak out against misconduct and unprofessional behaviour and advocate for effective, ethical and safe care. Chiropractic Australia (CA) was launched in June 2015 as a member organisation dedicated to improving chiropractic in this country. We believe that chiropractors play a valuable role in health care, including paediatric care; but this must be as part of the organised health care system. Outdated concepts of vertebral subluxation can not be used as justification for treatments which lack biological plausibility, let alone reasonable evidence. Sneaking into hospitals to apply unauthorised treatment was a shameful behaviour when it was first exposed and it remains unethical and stupid behaviour today. Chiropractors who operate in this manner will not be accepted as members of Chiropractic Australia. Rod Bonello, President CA. Thanks so much for your comment, Rod and all the best with Chiropractic Australia. Chiropractors around Australia would greatly appreciate finding out what ‘bar’ there seems to be in order to join Chiropractic Australia (CA). This is because every chiropractor in Australia recently received a number of letters suggesting that all they had to do in order to join CA, was pay an extremely reduced rate. There was certainly no ‘bar’ alluded to during this time. In fact, the substantially reduced rate, may suggest to some that the ‘bar’ to join CA is certainly lower than that of the Chiropractors’ Association of Australia (CAA). CAA does not in fact accept any member who just pays a fee. It actually goes through a process of acceptance, which is determined via a Board Meeting at a Branch Level. •	The Directors of Chiropractic Australia (CA) are from the same pool of previous COCA Directors. •	The President of Chiropractic Australia, Rod Bonello, has recently been President of COCA. •	The offices are registered to the same address as COCA. •	Current COCA members automatically become members of Chiropractic Australia. •	Is there transparency in governance and decision making? •	Do members have the ultimate authority over the business? •	Has a purpose and vision been made clear? •	Are all registered chiropractors welcome to participate? •	What is the structure of the business, who are the key people and what business partners do they use to conduct business? •	What is the financial status and outlook of the business? •	What bodies are they represented on that influence the future of chiropractic? •	Is a comprehensive range of services offered or is there selective cherry picking? The CAA is concerned about CA potentially misleading and misrepresenting to the profession and public at large. As the peak representative body, the CAA (Chiropractors’ Association of Australia) encourages chiropractors to do their due diligence around CA (Chiropractic Australia). An evidence-based approach to treatment is a core foundation of the chiropractic care delivered by the members of the Chiropractors’ Association of Australia (CAA) to over 215,000 Australians each week. Chiropractors are experts in spinal health; delivering healthcare which is safe, effective, and regulated. There is a significant body of evidence underpinning the efficacy and safety of chiropractic care, however we recognise that continual rigorous research is essential to enable patients to make informed choices and to receive the most current recognised treatments. Core to Chiropractors’ Association of Australia (CAA National) and our members is the delivery of evidence-based practice. We are firmly committed to ever-enhancing the evidence base underpinning chiropractic care. As with other medical disciplines, the evidence base for chiropractic care is constantly evolving, as researchers undertake new studies and trial the effects of different therapies. CAA National has commissioned a three-year longitudinal study (the ACORN project) with the University of Technology, Sydney to examine the health outcomes of chiropractic care. The study will provide the first national, longitudinal practice-based study of chiropractic care. Chiropractic is effective, safe and regulated by the Australian Health Practitioner Regulation Agency. Chiropractic has an excellent safety record; a result of evidence based treatment that avoids invasive procedures and medications where possible, and delivered by trained medical professionals. As a profession, chiropractors are committed to providing Australians with the best available research to make an informed decision regarding chiropractic care and receive the most current recognised treatments. There are various studies that support the use of chiropractic treatment for children. We do believe this is one area though where the delivery of chiropractic care would be significant enhanced by further research. We encourage parents considering chiropractic care for their children to openly discuss their interest and concerns with their chiropractor and other medical professionals to ensure they make an informed choice. Chiropractic care of children in Australia is low with currently less than one per cent of chiropractic treatment is applied to children under the age of 1 year of age. In 2012 in recognition of the widespread use of this term by chiropractors in Australia, the CAA, after exhaustive debate, adopted the WHO definition of the subluxation. Hello Matthew. I notice you use the term “evidence-based”. I hope you stick around to answer some questions on my blog on behalf of the CAA, who refuse to answer my emails. Are you aware of one of your leading members who practises and teaches sympathetic applied kinesiology on a parent to diagnose conditions in an infant laying on the parent’s chest? Are you aware of the Floreanis? You can search that name in the search box at the top right of this post. Can you also search for the terms “Chiropractors’ Association of Australia”, “Australian Spinal Research Foundation”, and “Anti-vaccine chiropractors”. I’m glad Matthew arrived to castigate chiropractors who sneak into hospitals and manipulate babies. Oh, hang on…sorry…nothing to see here…as you were. I’d like to know how you are a doctor. Do you have a PhD? Hi Dave I am with you since when are Chiropractors given the title Dr..I think I have missed something…no doubt someone will tell me…as a Midwife it is not acceptable to post babies on Facebook and advertise your work..
Hi Mary. I’m only relaying what I’ve been told. Since 2010 after a deal was struck with then Federal Health Minister Nicola Roxon, to get the CAA to agree to national regulation under AHPRA, chiros have been granted the use of the honorific “Dr”. They must add “(chiropractor)” in all advertising, same as dentists and others. If anyone can add to this I’d be very grateful also. In the UK many (of the older) chiropractors who annotate themselves DC are declaring a Diploma in Chiropractic. Matthew, can you explain to me why there was an anti-vaccine book featured prominently at your recent CAA stand at the Queensland Baby Expo? That’s a very defensive post Matthew. As a member of the public and potential punter I’m tempted to think you’re worried that a lean modern evidence-based competitor may make ideologically entrenched organisation irrelevant. Certainly I’ll be looking for a CA/COCA affiliated chiro should I need one. Does this still not justify, by the broadness of definition, the ‘old’ subluxation as espoused by chiropractic philosophy, being that chiropractic can treat all sorts of illnesses that have no association with the spine or spinal nerves, particularly in children. If not, then the CAA need to get serious about sanctioning members who state otherwise. Just as they should about members attending patients in hospitals where they have NO visiting rights, NO contract to provide treatment, NO documentation of that treatment save their public self testimonials, and NO legal standing in the care of the admitted patient. Consent of the patient/parent does NOT cut it legally here. AT. ALL. And when can we expect to see some commitment to quality and safety in chiropractic, starting with an industry based adverse events reporting system? When you call chiropractic a “medical discipline” practised by “trained medical professionals”, this suggests to me and many others that chiropractors have a degree in medicine. This is not the case, and could certainly be construed as misleading. Perhaps when writing a long argument in defence of the trustworthiness of your field, such misleading statements should be avoided. I can only speak for myself, of course, and I consider your association less trustworthy now than I did before I read your comment. Thank you for helping me to form an opinion of chiropractic. It’s interesting that after a suggestion of legislation, the CAA responds and proclaim such high standards that are utterly ignored. It’s interesting they respond and completely ignore the issues raised in the article. It’s not surprising any more, but it’s still interesting. Years ago I had no opinion about chiropractic (I assumed it was just a form of physio focusing solely on the spine), but when I see comments like those made here by Matthew, my currently negative view of the industry becomes more and more cemented. It’s like watching a politician answer questions at a royal commission hearing. Thank you for all the info provided about chiropractic. Chiropractic treatment has made a real difference in my life. I have removed this comment from the spam folder so Matthew can respond. Why does this commenter also have precisely the same IP address as you, the CEO of the Chiropractors’ Association of Australia, Matthew? Well, I guess chiropractic would make a real difference in the life of a chiropractor. 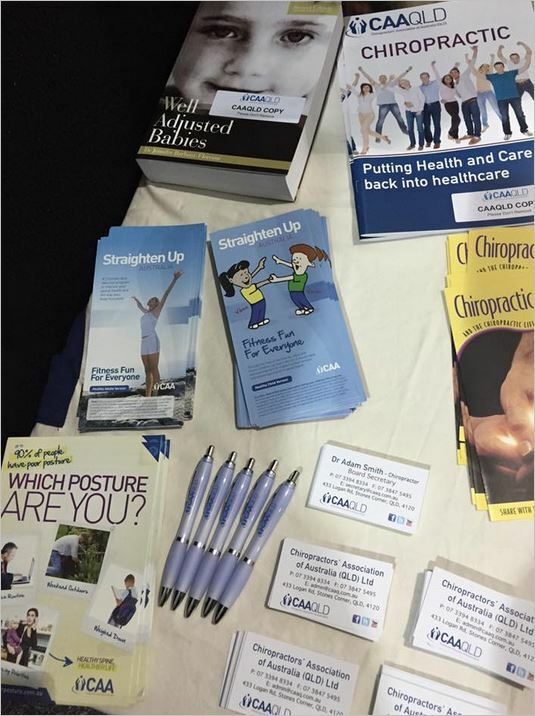 Thank you for all the insight provided to chiropractors, and all the information around chiropractic. You make me proud to be a chiropractor. I have removed this comment from the spam folder so Matthew can respond. Why does this commenter have precisely the same IP address as you, the CEO of the Chiropractors’ Association of Australia, Matthew? Matthew. It pains me to ask this; but, why does the IP address used to make your official comment as the CEO of the Chiropractors’ Association of Australia (National) – which resolves appropriately to Penrith (CAA’s location) – match, precisely, the IP addresses of these two fake astroturfing accounts which I have sent to spam? How *very* interesting that both WordPress accounts were created in the last 24 hours. I get the feeling that this might be one of the reasons why testimonials are against AHPRA regulations. Nothing like a bit of self-fiving. Says volumes about the type of organization that the CAA is when this is the sort of behavior of the CEO. The issues within the chiropractic profession will not be solved by just being positive and focusing on all the good stories. In fact most professions seek improvement by focusing on the negatives in order to adapt and evolve. Ouch. That’s not a good look. And my hardening negative view hardens just a little more. I would love to be reassured by Prof Bonello’s comments, but doubts remain. It ‘s not enough to re-badge “subluxation”, while a large percentage of the profession believes in manipulation fixing “nerve interference” and thereby influencing organ function. Like humors and bloid-letting, these old concepts are not supported by modern science, and must be dropped if the professiob wants to work in a science-based paradigm. I would also ask Prof Bonello for evidence for tje chiropractic treatment of children, and particularly babies, and also for the science behind his previous research of the use of chiro for ADHD, and the modality of “neuro-emotional technique”. One would hope that the new organisation could lead the profession to a better place, not just have better piblic relations advice than CAA. The difficulty in such debates is that often there is a kernel of truth amongst the verbiage making it incorrect to state a blanket denial, yet just as false to advocate fully. Accordingly it is difficult to comment on ‘nerve interference’ without going into depth. Chiropractors looking after patients with disc problems, radiculopathy and other nerve entrapment syndromes certainly can play a valuable role in treating ‘nerve interference’. However, claims that subluxations cause nerve interference which turns off the immune system, or causes organ failure are yet to be validated, have little biological plausibility and cannot form the basis of rational therapy today. With respect to my research on neuro-emotional technique (NET) I must say from the outset that I am neither an advocate of the technique nor a detractor. I have been involved in three studies which have used NET therapy – one on hypothyroidism, one on ADHD and one on chronic low back pain. They showed no benefit for treatment of hypothyroidism, mixed results for ADHD in children, and a good result for low back pain. Those studies were conducted by research candidates at Macquarie University and I was a research supervisor. I have no further interest in NET, other than contributing to the write-up of papers which flowed from the research. I must say, however, that it is important to research techniques in any medical field where the use of the technique outstrips its evidence base. This is to inform the public and scientific community the value or otherwise of these untested techniques. Importantly, we need to find the limits of therapies so that they are not over-employed. The goal of CA is to advance effective, safe and ethical chiropractic care. Better public relations is not a primary goal, but should naturally follow if we can get this right. Your comment was caught in spam, Rod. Sorry for the delay. No idea why it went there after your first was approved. Is this the paper you are referring to: https://www.universalhealth.com.au/research/pdf/cja-llececal.pdf ? (This was the only one I could find with a google scholar search related to NET and LBP and your surname). Also Sue, you asked for some references to support chiropractic treatment of children. There is little evidence and much of it is poor quality. One which does report success in a real world context is the following paper from Anglo-European College in the UK. Yes I cherry picked this paper but it does have interesting data and cites a number of interesting references. So much more work is needed before a reasonable role in a hospital can be defined. Rod. Thanks, Rod. The paper you referenced was a relatively old one about adverse events. Is there any evidence, ANYWHERE, about any potential benefits of spinal manipulative therapy in young children and babies? Would your organisation take the step of making a statement, as Murdoch Chiro has, that there is no evidence that newborns benefit from any form of manipulative therapy or “adjustment”, and advise members not to do it? That sort of approach would clearly distinguish your new organisation from CAA. 3. Repeat the MRI and compare to the pre-treatment study. I doubt there would be any objective benefit. Would you ask the same for a physio manipulation? An osteo manipulation? A manipulation delivered by an orthopaedic specialist? They are all HVLA thrusts to the spine. If you want research behind manipulation, I can understand that. But please don’t single it out to “Chiro” manipulation. Hi Stephen, I posted a comment and I don’t know where it went, so forgive me if this is a repeated post. I hope you’re asking for the same amount of research from physio manipulations, osteopathic manipulations and manipulations delivered by ortho specialists. I too agree that there needs to be more research into the bio mechanical changes that occur in spinal manipulation but I hope you’re not singling out one manipulation over another. They are all high velocity, low amplitude thrusts directed at a spinal joint. The spam filter has been very strict of late. I don’t know why. I found your other comment in there about twenty minutes ago. Sorry for the delay. Thanks for the heads up. I’ll be a bit more patient next time! Hi. No mainstream surgeon, othro or neuro, would perform any of these manipulations. The ‘HVLA thrusts’ sound very mechanical, as if attempting to realign a malalignment, which, if real, I expect to be readily detectable through radiological imaging such as MRI; I can’t believe that, given this is the entire basis of chiropractic, that a multitude of studies similar to what I have suggested have not already been performed. It is disconcerting the ease with which the ‘more research is required ‘ line is pushed by chiro; there are some quack hypotheses/theories/treatments that will never be validated by as much research as you can throw at them, and may therefore be in the best interests of chiro not to initiate research. You must not be very well rounded in who uses manipulation then, Stephen. You also haven’t answered my question about physio-delivered manipulation. And please let’s not go into the researched effectiveness of other manual interventions. I find it ironic that you can dismiss the lack of research then suggest chiropractic not even initiate it. I think your initial post was misguided by taking aim at the intervention in order to smear the profession. But the intervention is used by other manual therapists also. Mainstream manual therapists. So you might want to continue your witch hunt with them also. I’ve provided their websites (above) and I’m sure they would be interested in hearing your concerns about the efficacy of manipulative techniques. I can tolerate chiros manipulating/massaging the adult spine so long as the quackery is removed ( ie become physios) and they do not pretend to be treating an-impossible-to-detect mystic subluxation ( and the patient consents to the risk of a vertebral artery dissection with a cervical manipulation). In my experience (actually that of a relative), physio for a prolapsed disc involves a series of exercises over time, mostly done at home and unsupervised. As I recall, it’s a 6-week protocol and involves no forceful manipulation of the back by the physiotherapist. Other recommended treatments include waiting for it to resolve on its own (not bed rest), cortisone injections or micro-surgery followed by a long-term, mostly-unsupervised, physio protocol. I don’t know what ortho would involve (perhaps JC can enlighten us) but I understand osteo in Australia to be little more than a subset of chiro – though I’m willing to stand corrected. Agreed with the physio protocol for an acute disc. I personally wouldn’t be manipulating an acute disc. I believe the home exercises are similar to McKenzie exercises aimed to reduce disc material. This technique is commonly used my manual therapists in hospitals. Even this technique incorporates manipulation for end of spectrum patients who aren’t responding to the protocol. Osteo is similar, without the loud morons putting them in the spotlight. Oh please, there is no “bar” for chiropractic full stop! The majority of you still think there is a magical energy force running through the human body that you chiro’s can some how manipulate with your little clicky things! Those chiro’s who reject the metaphysics and wish thinking, and limiting their treatment to musculoskeletal therapy are basically just doing physiotherapy. Don’t start a new association, just leave the quackery all together and become physio’s instead. I won’t speak for manipulation’s ability to do what you’re asking but manipulation is just one tool. I will do some digging in the literature. Unfortunately, a lot of chiropractors let this one tool define us as one trick ponies. Manipulation does not solve everything. Changes in disc height can be achieved through Cox technique (primarily passive flexion with a specialised table). This technique was developed by a Chiropractor and is taught in Chiropractic schools. Here is a study on the chiropractic technique done by physiotherapists on chronic low back pain and disc heights. Like I said, manipulation is just a tool and unfortunately, the definitive tool for most chiropractors. However there are chiropractors who incorporate other forms of manual therapy in their practice which best suit the patient,but you never hear about them.